This blog will be a helpful guide of how to do chest exercises with resistance bands. Are you looking to build a stronger, more defined chest? You can achieve it with pectoral exercises with resistance bands that make you look and feel great. One of the important things to keep in mind about strength training is that you need to modify your techniques and try new workouts to challenge your body. By using resistance bands instead of free weights or machines, you have the ability to make incremental adjustments throughout the movement which improves different parts of the muscle being worked. Instead of just adding more weight, you're training the muscle differently, which means you are getting a more complete, full range workout. 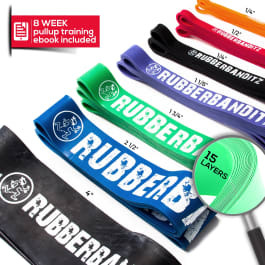 Resistance bands are highly versatile and can be used to train any muscle you want, wherever you are. The best thing about chest exercises with resistance bands is that they can be done anywhere – the gym, at home, the office or even in a hotel room when you’re traveling. Before you begin your chest exercises with resistance bands training, make sure to have a stable stationary object to tie or wrap the band around. You don’t want the band slipping in the middle of your workout. Listed below are the best chest exercises with resistance bands for growing and defining your pecs. These include chest presses, chest flys, inclines and inner chest exercises with bands. With traditional weightlifting you can experience plateaus in your workouts, but by adding these exercises you will blast your chest to gain the muscle mass you desire. To add strength to your pecs, utilize multiple chest press techniques. This exercise should be included in all of your chest workouts. 1. Wrap the resistance band around a post. 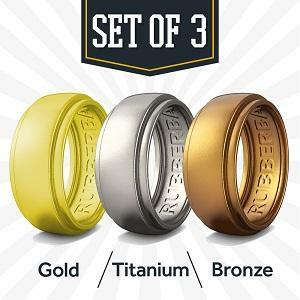 Grab a band in each hand with your back to the post. The band should be chest height. 2. Start with your feet shoulder width apart, making sure your body is stabilized. 3. Press the bands in front of you (at chest height) and extend your arms parallel to the floor. 4. As you move back to the starting position, keep control of the tension so you continue to work the pecs. 5. Perform 8 - 12 repetitions. 1. Place the resistance band behind you, lie on your back and hold the ends of the band with both hands. 2. Punch one arm up towards the ceiling and fully extend your arm. 3. Return to the starting position and repeat the movement with the other arm. 4. Perform 2-3 sets with 12 - 15 repetitions. Try varying the speed of your action to notice how your muscles respond. The incline chest press is the perfect way to bring more attention on your upper pecs. By adding resistance bands to your inclines, you will increase the speed and acceleration of the movement. 1. Attach the bands to the bar and stabilize them so they don't move. If you’re at the gym you can tie the bands to the base of a bench and then wrap them around the top of the bar. 2. Keep your abs tight and perform the movement as a regular incline bench press. 3. As the weight is lowered to the chest, push it back up with speed and force. This has the effect of pushing against the weight in addition to the force of the resistance bands. 1. Secure the bands behind a chair or attach them to the base of the chair. 2. Sit down and pick up the bands, one in each hand. 3. With your elbows out, push your arms up at a 45° angle. 4. Try to restrict all movement to only your chest and arms. 5. Perform 2-5 sets of 10 reps. Chest flys are an excellent upper body exercise that uses resistance bands instead of dumbbells to strengthen your chest muscles. With the proper technique, chest flys will help your chest grow to the next level. 1. Stand upright and hold the resistance bands with arms out and fists facing one other. 2. Stabilize your legs while keeping your core tight. Keep your chest up and shoulders down. 3. Without locking your elbows, keep your arms straight and place your hands in alignment with your shoulders. 4. Pull your arms slowly away from one another as far back as you can go. 5. Straighten your arms as much as possible without locking your elbows. 6. Return your arms to the starting position as you squeeze your chest muscles. 7. Perform 3-5 sets with 10 - 12 repetitions. Alternatively, you can perform these on a flat bench using just one band looped underneath the bench. Try this exercise both ways to see which is more effective for you. Building the lower and outer pecs is easier for most people, but the inner chest is more difficult to target. Performing all of the chest exercises will help build your inner chest and by focusing on neutral to declining movements, you will create a more defined inner chest. 1. Secure the bands to the top of a door with a door anchor. 2. Grip the band with one hand and stand 3 - 4 feet away from the door with yourthe side you want to work facing the door. 3. Your arm should be positioned so it is pointing up towards the door with a slight bend. Keep your back and head straight, chest up and feet shoulder width apart. 4. Pull the band down and around until your arm is directly in front of your chest. 5. Return to your initial position and repeat. 6. Perform 3-5 sets with 8 - 10 repetitions. Make sure to do both sides of your chest. Now that you have a plan of attack, you can use resistance bands to create a strong chest and showcase your exceptional physique. Note that you can use bands in conjunction with weight or without them altogether. The important thing is that you challenge yourself with enough resistance to make the exercises challenging but not insurmountable. We encourage you to experiment with different size bands and anchor them to different objects or perform different movement pattern (such as pushing up, straight, and down). This will help youto get a better idea of how you can structure your workout in a way that is comfortable tofor you but also challenges you to perform different variations of similar exercises to that engage different areas within the targeted muscle groups. Try these out a resistance band workout next time you work on your chest and let us know what you think. 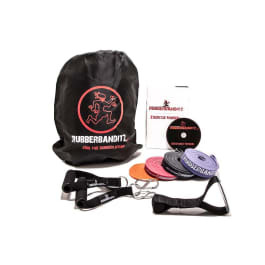 Tag us on social media @rubberbanditz so we can see how you are doing and learn from each other.